Virtualization infrastructure, database configuration and source code analysis, all in convenient source of truth. Integrates with your existing Ops tools to pickup where you left off. Automate your assessment with our priotization recommendation engine. Find the low-hanging fruit based on data, not gut feel. 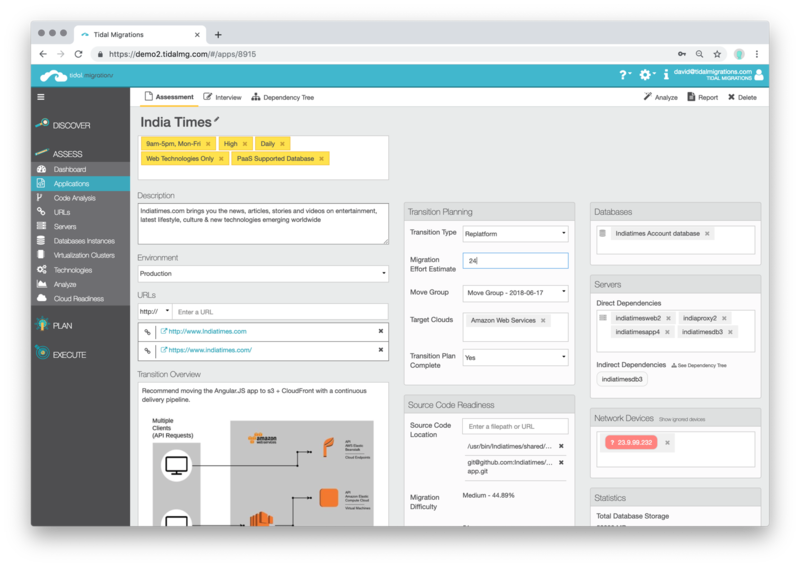 Uncover roadblocks to cloud-native migrations by analyzing your source code and running database configurations. 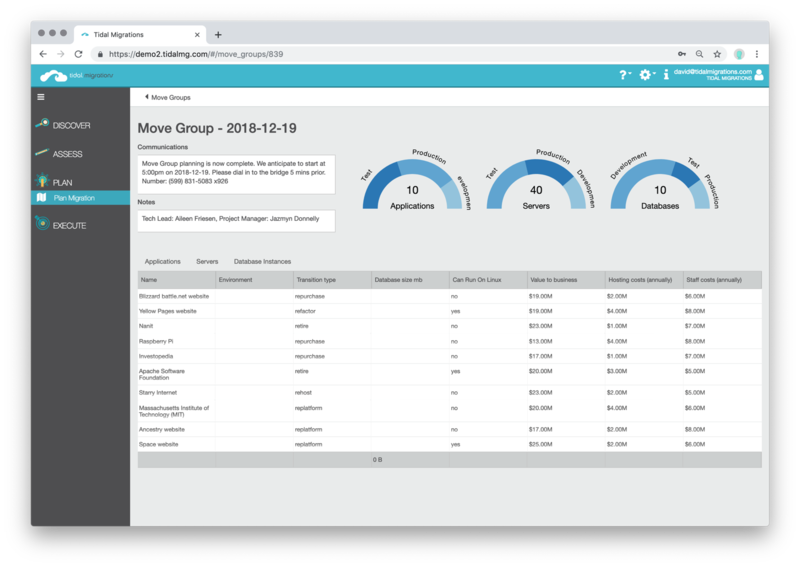 Actionable insights for replatform migrations, in minutes. Tidal Migrations is the only commercial platform for assessing your application portfolio for cloud migrations. 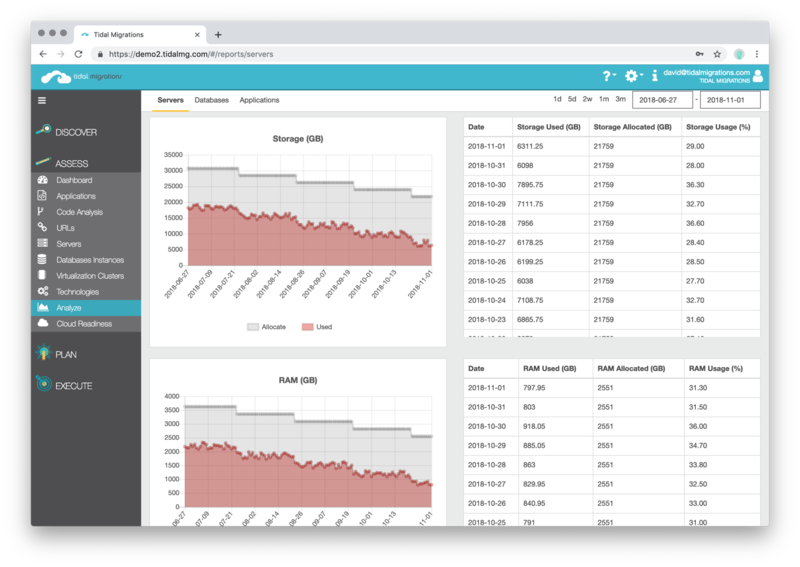 Following a layered-approach to discovery, Tidal Migrations empowers you with data and analytics to make data-driven planning and design decisions for your cloud journey. This is the source of truth for your migration. Identify roadblocks and quantify the difficulty of Replatform and Refactor migrations. 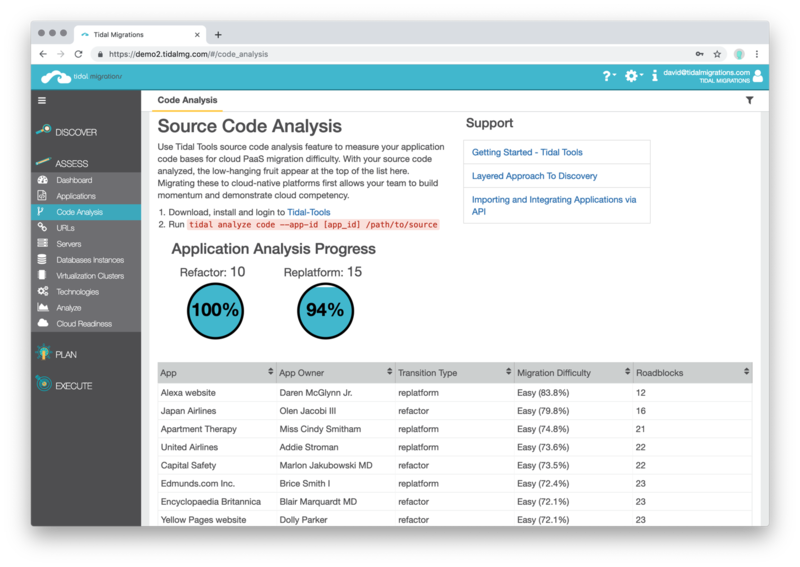 Analyze all your source code and running database configurations in minutes, and get a recommended application migration plan. Drive faster modernization of traditional applications from Mainframe, AIX, Solaris, Windows or Linux. Born in the cloud, for the cloud.